The real estate slump is hitting Eliot, gently so far. Two major developments have been put on hold for now including The Kaiser Group (Ben Kaiser, architect/developer) projects at Fremont and Vancouver and the planned development on the Wonder Bread site across the street. Central City Concern is moving forward with redevelopment of the old Ramada Inn at the Rose Quarter into workforce housing. At least that is what it is supposed to be. Recent news articles indicate it is being used for a shelter for homeless women and is planned to host Hopper Detox. Development along the Interstate Max line has not met expectations thus far, so the City asked Planning staff to look at the current zoning to stimulate it. Staff held an open house in the fall to provide a first look to area residents. Gary [ENA Chair] and I both attended separately. However, we both came away with the same impression, namely there was not a lot of support for the proposal. Emanuel Hospital has announced plans to expand its children’s wing and add a large new parking structure. The expansion follows that of other area hospitals and will allow the hospital to eliminate shared rooms and a small increase in the number of beds. The new wing will occupy a surface parking lot. The landmark Gazebo in Eliot’s Dawson Park is to be renovated starting this month with completion expected before summer. During renovation the dome will be removed, and restored. When finished the Gazebo will better serve the Neighborhood. 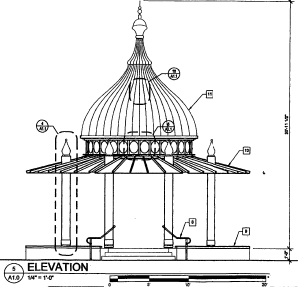 Renovation of the gazebo is scheduled to begin late-February and is expected to be complete in May 2008. Friends of Trees will be planting trees in Eliot Neighborhood on Saturday February 16th. In addition to Eliot, trees will be planted in Boise, King, Humbolt, Overlook and Piedmont the same day. The staging area for the planting is the Friends of Trees Office, 3117 NE Martin Luther King Jr Blvd, rain, snow, or shine. Every morning, Sundays excepted, a man and his dog stand outside of the pretty Spanish Renaissance Revival building at 216 NE Knott, waiting for the doors to open at 10:00. Originally a library designed by Ellis Lawrence in 1912, it now houses Title Wave, one of the most unique bookshops in Portland, where the videos, DVDs, music CDs and books retired from the Multnomah County Library (MCL) system are sold. Eliot lost a historic building in October 2007, but to the relief of some residents as it had been an eyesore in recent years. 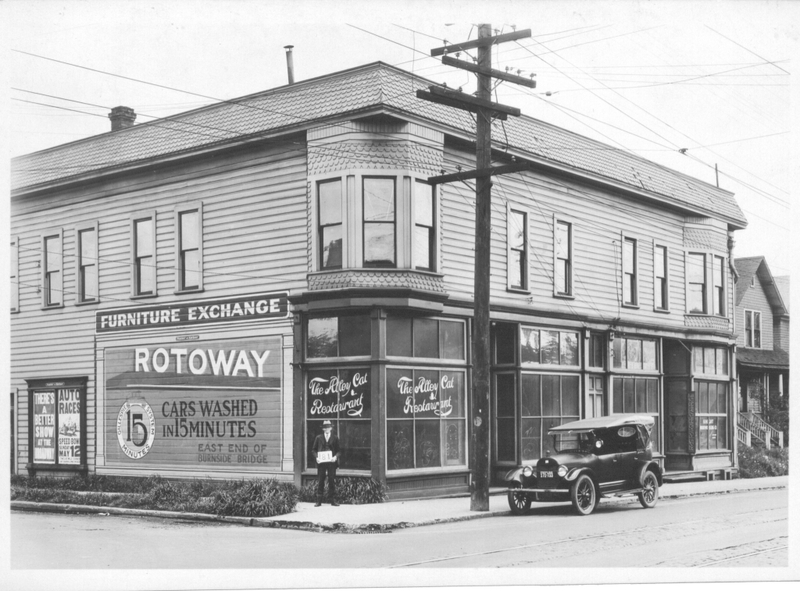 The two story wood framed structure was at 2240-2248 NE MLK on the corner of NE Sacramento. Over the last 50 years, it suffered insensitive alterations and neglect. In its last years, structural problems became more apparent as the elements took a toll on the exterior. It was the last of several turreted Victorian structures that formerly lined a busy Union Avenue (MLK today) during the 1890s. Under the present ownership, a future new mixed use building is planned for the site since it is a prime location for retail development.